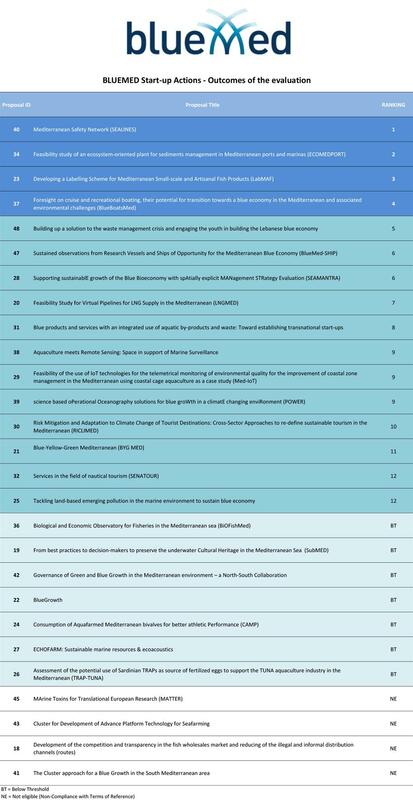 The BLUEMED CSA is pleased to announce that the evaluation of the 27 proposals received in the framework of its Call for Strategic Start-up Actions on Blue Growth in the Mediterranean was completed on 24th October 2018. The Call was launched on 15th May and applications were accepted until 15th July. Applicants were asked to form a partnership of at least four entities – three from EU Member States and one from a non-EU country – to conduct three multi-disciplinary workshops/ meetings leading up to a feasibility or foresight study or a demonstration or pilot project. Another criterion in the Terms of Reference was the potential integration in the BLUEMED Strategic Research and Innovation Agenda (SRIA). SEALINES: Mediterranean Safety Network, Coordinated by Ilaria Antoncecchi & Team (Ministry of Economic Development/Bicocca University of Milan, Italy); Co-Lead Marco Pacini (Rossetti Marino SpA, Italy), with partners from Egypt, Greece, Tunisia, Italy, Croatia and Cyprus. 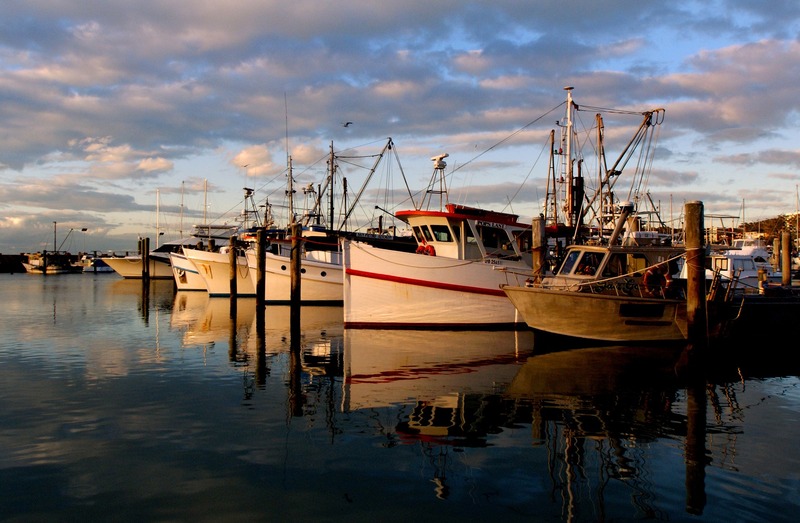 ECOMEDPORT: Feasibility study of an ecosystem-oriented plant for sediments management in Mediterranean ports and marinas, Coordinated by Cesare Saccarini & Team (University of Bologna, Italy); Co-Lead Giovanni Preda (Trevi SpA, Italy), with partners from Tunisia, Lebanon and Greece. LabMAF: Developing a Labelling Scheme for Mediterranean Small-scale and Artisanal Fish Products, Coordinated by Jerneja Penca (Euro-Mediterranean University EMUNI, Slovenia); Co-Lead Alicia Said (Malta College for Arts, Science and Technology MCAST, Malta), with partners from the UK, Spain, Italy, Portugal, Lebanon and France. Click here for more info. BlueBoatsMed: Foresight on cruise and recreational boating, their potential for transition towards a blue economy in the Mediterranean and associated environmental challenges, Coordinated by Lina Tode (Plan Bleu, France), Co-Lead Alberto Cappato (Porto Antico di Genova, Italy), with partners from Croatia, Spain, Tunisia and France. 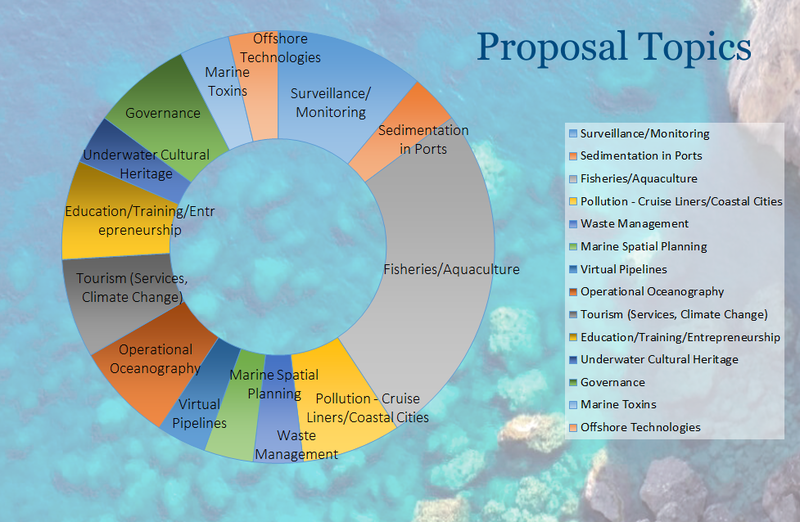 This being a bottom-up Call, proposals spanned a wide range of topics, from fisheries and tourism to operational oceanography and marine surveillance as shown below. We were also pleased to receive applications from international, multi-disciplinary teams, bringing together members of the academia, private sector, local and regional authorities as well as NGOs. BLUEMED’s Evaluation Management Group, made up of members from seven BLUEMED partner countries, carried out a first eligibility check of the proposals and found four not to be in line with the Terms of Reference of the Call. The remaining 23 proposals were each evaluated by two independent experts, who then met remotely to reach a compromise score. Based on this, a ranking was established, that was finally approved by the BLUEMED Steering Committee. The BLUEMED CSA would like to congratulate the four winning partnerships and looks forward to working with them on their innovative Start-up Actions! 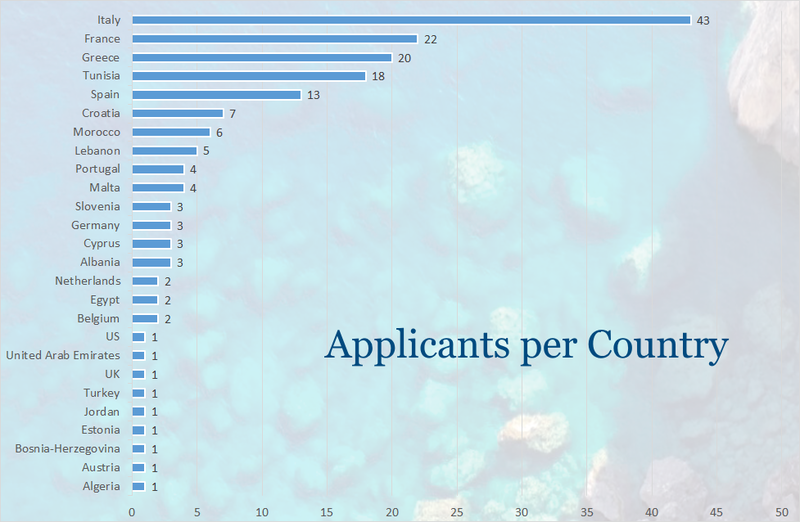 We would also like to thank all the other applicants for their interest in blue growth in general and the BLUEMED Initiative specifically. We wish you luck with your projects and hope to have the opportunity to work with you in the near future.